Army Sports stood victorious in three massive rivalry games yesterday, and it was truly glorious. The Women got behind Navy by as much as eight midway through the third quarter, but several of Navy’s best players got into foul trouble trying to keep Army’s best shooters in check, especially Army Forward Madison Hovren. 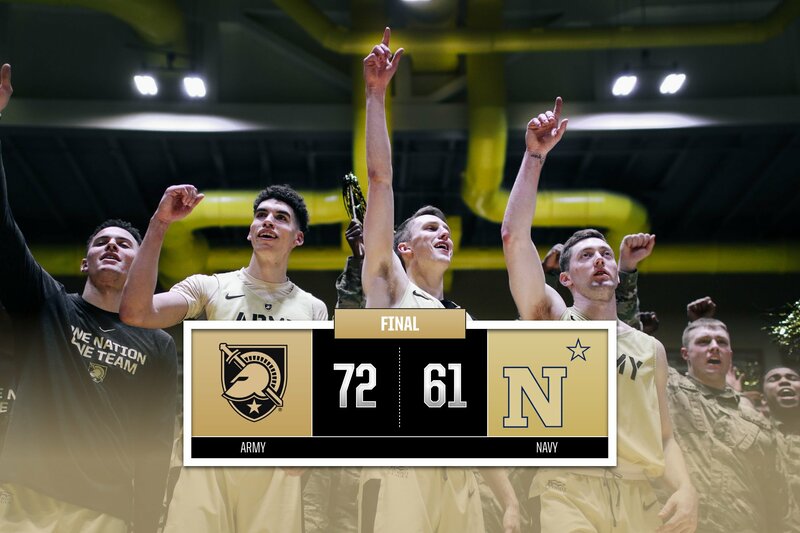 Army’s gigantic cohort of hyper-talented plebes came through in the clutch, however, making rebounds and sinking shots to keep the Black Knights in the game. As the final period began, Hovren herself finally started sinking shots, and the game turned at last. Army went on a run, getting up by as much as eight themselves until a late push by Navy threatened to send the game into overtime. Down by six with less than a minute remaining, the Mids stole a possession off an inbounding error and sank a three, making it a one-possession contest with just under thirty seconds to play. The Mids again got the ball, but Army’s defense held despite two literally last-second three point attempts. The buzzer sounded with the Black Knights still up by three. This game was tight through the first period-and-a-half of play. Navy dominated on offensive rebounds early but couldn’t sink enough shots to pull away. 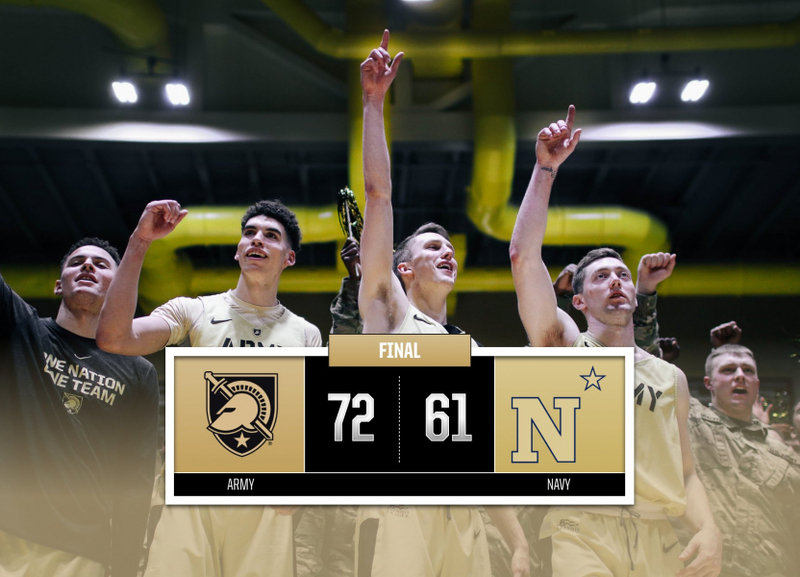 Nevertheless, the Mids were up by four with five seconds in the first half before firstie captain Tommy Funk sank a super-long three-pointer as the buzzer sounded to bring Army to within a point. The second half began much the same way, with the two sides trading baskets in a tight contest. But Army’s defense stiffened up in the last minutes, allowing the Black Knights to go on an eight-point run just before timed expired. That put the Men ahead of Navy for good, and Christl Arena went crazy! As with both teams in basketball, Army Hockey had to fight back against its oldest international rival to secure victory. The Black Knights were down 2-1 as the third period opened but scored four unanswered goals in the final period to win the contest 5-2. What a great day to be a Black Knight!